If you’re looking to stock up on high-quality cords and braids, you’re in the right place. 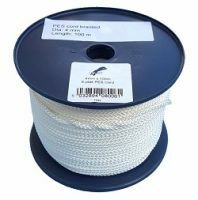 Ropes Direct is one of the UK’s leading suppliers for this type of rope and, whatever use or application you have in mind, we’re bound to have the right product for you. 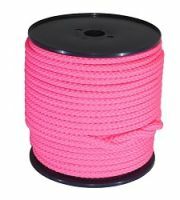 Our most popular product in this range (by far) has to be braided nylon cord. 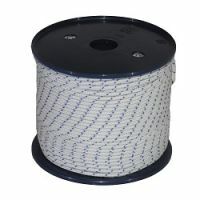 This comes in a variety of different sizes – ranging from 2N to 16N – and is currently sold on 132m spools. 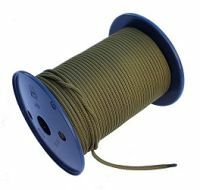 We also stock khaki-green paracordin 3-6mm diameters and offer a number of 3-5mm nylon starter cords. 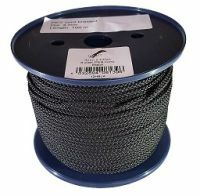 Braided nylon cord(or paracord) is an excellent option if you’re in need of a robust and durable rope. Renowned for being one of the strongest rope fibres available, nylon creates a level of strength and sturdiness that is difficult to beat – particularly when woven into a tight lock-stitch braid. It also demonstrates excellent elasticity and is resistant to a range of factors (such as abrasion, UV rays or chemicals), making it a suitable choice for different commercial and domestic applications. Our priority is to provide customers with the highest possible quality of products. All of our cords and braids – including our braided nylon cord and paracord– are made by ISO certified manufacturers (either in the UK or Europe). They are built to last, yet affordable, providing the strength and flexibility needed for a diverse range of applications. So why not get in touch today? Our team of experts can offer tailored advice on the best cords and braidsfor your needs. Simply call us on 01692 671721 or send an email to info@ropesdirect.co.uk and we will respond to your enquiry as soon as possible.